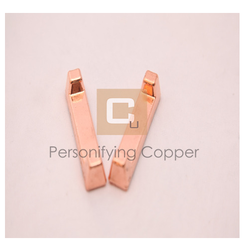 Platting: Natural, Nickel Plated, chrome plated, zinc plated etc. 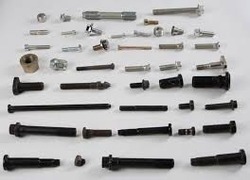 Cold Forged Fasteners & Components as per Print. Material : Brass, Carbon Steel & Stainless Steel. Being a leading enterprise of this industry, we are offering a huge range of Cold Forged Component. We are engaged in offering Cold Forged Parts to our clients. Designed in line with international quality standards, these components have gained wide appreciation for enhanced durability and resistance to corrosion. Comprising different types of blanks in various shapes, these are used to manufacture gear and spline shafts. Equipped with all the high-tech machinery, our organization is engaged in manufacturing an extensive range of Cold Forged Components. We are successfully meeting the varied needs of our patrons by offering a wide gamut of Cold Forging Components as per their precise needs. Punch for Cold Forging Machine. It is made up of best quality. You cn use it and trust. We are engaged in offering quality range of Cold Forge. Cold Forge improves the material strength and tends to orient fibers in one direction. These can be customized as per the specification provided by the client.